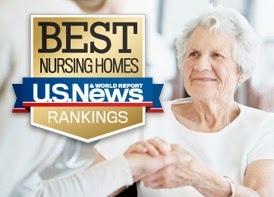 In 2014, U.S. News found five-star centers were increasing dramatically, with 25% of America’s skilled nursing care centers earning the distinction this year, compared to 19% in 2013. U.S. News found that California has the most five-star centers, followed by Florida, Ohio, Texas and Pennsylvania. U.S. News also provides a searchable database on all nursing centers in the country, with data and information on care, safety, health inspections, staffing and more. As part of the series, U.S. News offers additional articles on how to pay for care, spot warning signs of bad care, understand how the federal Affordable Care Act affects senior care, and otherwise manage the emotional and financial challenges of dealing with an aging loved one. Know what to expect and be prepared for a Quality Indicator Survey (QIS) with this important resource. You’ll be able to conduct mock surveys using the same materials field surveyors will use when they enter your facility. This is a great way to test your staff on their standard of quality and survey readiness. The QIS Mock Survey Guide is a publication that comes with a CD-ROM which provides you with a step-by-step outline of what happens during a survey under the revised process. It simplifies the differences between the traditional survey and the QIS and provides educational tools to complete the survey process. Order online at www.ahcapublications.org or by phone 800-321-0343. Members of Congress returned this week from their Presidents Day recess ahead of what promises to be a busy March for health care policy. AHCA has numerous fundraisers as well as office meetings planned for this week and next, meeting with the key leadership figures who will be driving legislative decisions this month. Time is of the essence as Congress only has four legislative weeks to either replace or patch the sustainable growth rate (SGR), which is set to expire on March 31. The Senate Finance Committee as well as the House Ways & Means and Energy & Commerce Committees have released a final plan for what an SGR replacement will look like, but have not decided on how to pay for such a change. If budgetary offsets for a permanent fix cannot be found, a temporary “doc fix” is still expected to cost in the tens-of-billions. In order to keep post-acute care’s voice heard, AHCA will be meeting with Members of Congress and their staff from all three of the critical committees with the message of preserving Medicare reimbursement and easing regulatory burdens for America’s skilled nursing centers. You can join in too. Visit www.ahcancal.org/advocacy to contact your Members of Congress and tell them to keep long term care at the forefront of health care discussions this March. A number of critical charitable giving incentives, including the IRA charitable rollover, were allowed to expire on January 1, 2014, along with scores of other temporary tax provisions. Efforts are underway in Congress to reinstate these provisions into law, and AHCA/NCAL recently joined the Independent Sector and close to 500 organizations from across the country in sending a letter to all 100 U.S. Senators advocating to protect the charitable giving incentives. The letter also includes support for bipartisan legislation (the Public Good IRA Rollover Act - S.1772) that has been introduced by Senator Chuck Schumer (D-NY). This legislation not only creates certainty by making the IRA charitable rollover permanent; it also makes important improvements by eliminating the cap on distributions and provides donors greater flexibility in their charitable giving. Originally created by the Pension Protection Act of 2006 as a way to encourage older Americans to make gifts to charities, the IRA charitable rollover provision in the tax code allows individuals age 70½ to donate up to $100,000 to a qualifying public charity directly from his or her IRA without incurring tax on the withdrawal. According to the Independent Sector, during the first two years the IRA charitable rollover was available, it prompted more than $140 million in charitable donations, with the median gift just under $4,500. Beneficiaries included social service providers, skilled nursing care centers, religious organizations, cultural institutions – organizations that benefit communities and improve lives every day. The "Using RN Continuing Education as a Weapon Against Rising Costs and Threats to Quality" webinar on Tuesday, March 18, from 2-3pm EST will focus on how the current LTC environment can be improved by an intentional, comprehensive continuing education program for RNs that prepares them to achieve Board Certification. The modest investments LTC facility administrators have made in this program have had a positive impact on the LTC RN workforce, their effectiveness on the job, and their RN turnover rate in a LTC environment characterized by rising acuity of LTC patients, tighter reimbursements, and more stringent regulations. Administrators are finding that the benefits of this program to their residents and financial bottom line far outweigh its costs. Register today! Correlate the attainment of RN board certification with standards of clinical excellence. Did you start the New Year off with the most up to date regulatory manuals? In order to provide the best quality of care possible, you will need to know all the latest information to be compliant with current federal regulations. Don’t be the only facility without the latest editions of these important resources. Order your copy of The Long Term Care Survey or RAI/MDS manual today at our online store! On Thursday, February 13, CMS announced another opportunity for providers to apply to participate in three of their four bundled payment models. CMS is opening Models 2, 3, and 4 to new applicants. Many post-acute providers are already engaged in Model 2 (includes acute and post-acute care bundled together) and Model 3 (post-acute bundle only). Last month CMS announced that 232 provider organizations had entered the risk-bearing phase of the demonstration; some of those are skilled nursing facilities and AHCA members. The Bundled Payments for Care Improvement (BPCI) Demonstration has been working to move applicants into the risk-bearing phase since their first open period for applications in 2011. CMS has delayed implementation of the demonstration, which was originally scheduled to begin last July, several times due to complexities associated with readying providers to take on risk. Providers have until April 18th to complete and submit all of the intake application forms which can be found here. AHCA members can visit our Bundled Payment Initiatives website with materials that were developed during the first open period. Providers are also invited to contact AHCA’s point of contact on bundling, James Michel, with any questions. Recently, Congress reached a bipartisan bicameral agreement on the policy portion of the sustainable growth rate (SGR). However, this agreement did not include provisions on extender policies, particularly those related to the Medicare Part B therapy caps. Without Congressional action, the current exceptions process permitting beneficiaries a way to obtain necessary therapy services beyond the $1,920 annual caps are set to expire on March 31, 2014. AHCA has been actively engaged in efforts to assure that beneficiary access to Part B therapy services is assured beyond March 31, regardless of whether the policy is part of a short- or long-term legislative solution. In addition to our direct advocacy efforts on the Hill, AHCA has aligned with a coalition of 16 beneficiary, consumer, provider, and professional associations to advocate in a common voice to assure that the needs of beneficiaries that require vitally necessary Part B therapy services are addressed in the SGR package. On February 14, the coalition delivered letters to the House leadership and its Committees on Ways and Means and Energy and Commerce. Letters were also delivered to the Senate leadership and its Finance committee. All letters are available on the “Therapy Cap” web page (at the bottom, see “Additional Resources”). AHCA encourages members to advocate for these positions with your Congressperson and Senators, especially if your state has representation on any of the above House and Senate committees. Last week, President Obama signed an Executive Order raising the minimum wage from $7.25 to $10.10 for new federal contract workers by 2015. The $10.10 per hour raise is effective January 1, 2015. According to a legal alert from Ford & Harrison LLP, on January 1, 2016, and annually thereafter, covered employers will be required to pay their employees an increased amount to be determined by the Secretary of Labor that is tied into the Consumer Price Index. The Executive Order applies if the contract or subcontract is a procurement contract for services or construction, is a contract for services covered by the Service Contract Act, and the wages of workers under such contract are governed by the Fair Labor Standards Act, the Service Contract Act, or the Davis-Bacon Act. The Executive Order requires the U.S. Department of Labor to issue implementing regulations on or before October 1, 2014. Employers with federal contracts or subcontracts should review their contracts and subcontracts with their attorneys before January 1, 2015 to determine whether they might be covered by this Executive Order. It is important to note that this Executive Order does not impact Medicare (Parts A and B) or Medicaid providers, as it is a long-standing policy that they are not “federal contractors.” However, if you have VA patients, you are considered to be a federal contractor, and thus, this executive action may apply to your circumstances. That being said, AHCA continues its support for the VA’s proposed rule on Provider Agreements, which, among other things, increases the opportunity for veterans to obtain non-VA extended care serves from local providers that furnish vital and often life-sustaining medical services. AHCA is currently awaiting the final rule. Download your copy of the 2013 AHCA/NCAL Annual Report today! AHCA/NCAL is formally supporting Rep. Tim Walberg’s legislation, Protecting Health Care Providers from Increased Administrative Burdens Act (H.R. 3633). This legislation clarifies that certain recipients of payments from the Federal Government related to the delivery of health care services to individuals shall not be treated as Federal contractors by the Office of Federal Contract Compliance Programs (OFCCP) based on the work performed or actions taken by such individuals that resulted in the receipt of such payments. AHCA/NCAL believes it is important to advocate against any further expansion of the U.S. Department of Labor’s OFCCP’s jurisdiction. Implementation costs for initial compliance with OFCCP’s requirements could range from as much as $10K upfront; and subsequent compliance could add an additional $5K annually. OFCCP enforces the affirmative action and equal employment opportunity requirements that are written into the federal government’s agreements with government contractors or subcontractors. Medicare Parts A and B, as well as Medicaid, are considered insurance reimbursement agreements, and are outside the scope of OFCCP jurisdiction. Participants in Medicare Parts C (Medicare Advantage) and D, the Military Health Care System (TRICARE) and the Federal Employees Health Benefits Program (FEHBP); may be considered federal contractors or subcontractors subject to OFCCP enforcement. Participants with the U.S. Department of Veteran’s Affairs (VA) are subject to OFCCP enforcement. It is important to note that for the last several years, AHCA/NCAL staff have worked tirelessly in negotiations with VA to make available nationwide a new VA/Civilian nursing facility contract vehicle, known as an “agreement,” that would excuse NF providers from most of the OFCCP requirements, and replace the current VA contracts. In February 2013, VA finally released a proposed rule detailing the agreement; but to date, the final rule has not been released. AHCA/NCAL staff stay in consistent contact with VA representatives on this issue, and we are hopeful that the final rule will be released soon. AHCA/NCAL remains concerned about the lack of clarity regarding OFCCP jurisdiction for Medicare Parts C and D, TRICARE and FEHBP. Given the recent developments in Florida Hospital and UPMC Braddock, health care providers with agreements under Medicare Parts C and D, TRICARE and FEHBP have to think about and anticipate how/when OFCCP will begin to take a more aggressive stance in asserting its jurisdiction. AHCA/NCAL has already begun to reach out to other national associations with similar concerns, to work together to stop OFCCP jurisdiction expansion. We are in communication with the American Hospital Association (AHA), who participated in the litigation on this matter, and who have formally supported H.R. 3633. If you have any questions on this issue, please contact AHCA’s Dianne De La Mare and Dana Halvorson. Best practice for nutrition services is expected from healthcare providers. Facilities are accountable for providing nutrition services that meet professional standards of quality that are provided by appropriate qualified persons (e.g., licensed, certified). This webinar will present current best practice standards for nutrition and for nutrition related to wounds and hydration. The standards reflect evidence based research available to date; and current thinking. Administrators, Directors of Nursing, Dietitians and Dietary Mangers and other Facility Interdisciplinary Team Members are strongly encouraged to attend. Regulatory guidance will be addressed along with clinical standard recommendations. Register today! On January 21, 2014, AHCA/NCAL hosted a webinar focused on the key nutrition areas and accurate interpretation for the Minimum Data Set (MDS) 3.0. In case you missed it, a recording of this informational webinar can be found here. In addition, a frequently asked questions and answers document authored by the webinar speakers, Janine Lehman, RN, RAC-CT, CLNC, and Brenda Richardson, MA, RDN, LD, CD, can be found here. This Q&A document includes answers to questions that were posed by webinar attendees – both those that were answered during the webinar and those for which we ran out of time. If you have any questions relating to the webinar, or the questions and answers document, please contact AHCA’s Senior Director of Regulatory Services, Lyn Bentley, and AHCA’s Senior Director of Not for Profit and Constituent Services, Dana Halvorson. Last week, Fox News Tonight aired a segment on the observation stays loophole during their 6pm broadcast “Special Report with Bret Baier.” The story focused on a beneficiary who was deemed to be on observation during her hospital stay, leaving the family to pay a $17,000 bill for her skilled nursing care. Representatives Joseph Courtney (D-CT), who introduced the Improving Access to Medicare Coverage Act of 2013 (H.R.1179) with Tom Latham (R-IA), was featured on the piece. In a separate news piece out of Nebraska, the Omaha World-Herald followed local families impacted by the observation stay loophole. As noted in previous Capitol Connections, H.R. 1179 would require that time spent in observation be counted towards meeting the three-day prior inpatient stay that is necessary to qualify for Medicare coverage of SNF care. Senator Sherrod Brown (D-OH) introduced a companion bill, S.569, cosponsored by Senator Susan Collins (R-ME). H.R. 1179 currently has 136 bipartisan cosponsors, while S. 569 has 25 bipartisan cosponsors. For more information about the observation stays issue, please visit the AHCA/NCAL website. Get in the spirit of the Olympic games by beginning your own award-winning journey: Apply for a Silver Quality Award by February 27, 2014! All centers who have previously earned a Bronze AHCA/NCAL National Quality Award are encouraged to apply. Information regarding specific criteria and application requirements is available on the Quality Award website. In addition, applicants can find numerous resources to assist them in the quality journey under Applicant Resources. Sample application packets, the AHCA/NCAL Management series of management seminars designed around the Baldrige Criteria, sample key factors worksheets and more are available online. State affiliates and member centers are encouraged to remind others of the upcoming deadline by sharing the Silver Quality Award deadline button pictured above. For more information, visit qa.ahcancal.org. The US Department of Health and Human Services, Office of Inspector General (OIG), recently released a report, Medicare Claims Administration Contractors’ Error Rate Reduction Plans, which indicates that too many Medicare providers are receiving improper payments, and the Centers for Medicare & Medicaid Services (CMS) must do a better job overseeing its contractors’ error rate reduction plans. The CMS Comprehensive Error Rate Testing (CERT) program estimates the number of improper Medicare payments made by Medicare Administrative Contractors (MACs) each year. Based on that information from CERTs, MACs improperly paid an estimated $29.6 billion during the FY 2012 reporting period-- resulting in an 8.5 percent error rate. To reduce the error rate, CMS requires MACs to submit error rate reduction plans. In these plans, MACs must describe the corrective actions that they will take to lower the rates. This OIG report found that although most error rate reduction plans included the required elements; CMS’ oversight of error rate reduction plans is limited. CMS staff reviewing the plans could not always determine if the plans addressed the most recent CERT results. Further, CMS approved sampled plans without recommending different or additional corrective actions. OIG recommends and CMS concurs that it should: a) review its process for overseeing MAC error rate reduction; 2) Ensure that MACs submit clear plans for reducing their error rates; 3) Provide additional guidance for contractors and CMS staff who review plans; and 4) Provide error rate reduction incentives that are aligned with the contracts’ error rates and performance periods. To obtain a copy of the complete report go to the HHS website. The US Department of Health and Human Services, Office of Inspector General (OIG), recently released a report, Review of Medicare Contractor Information Security Program Evaluations for FY 2011, which discusses the Medicare Administrative Contractors (MACs), Fiscal Intermediaries and carriers compliance with the security requirements under the Medicare Prescription Drug, Improvement and Modernization Act of 2003 (MMA). To better understand compliance with the security requirements, the Centers for Medicare & Medicaid Services (CMS) contracted with PricewaterhouseCoopers (PwC) to evaluate information security programs for its contractors. PwC reported a total of 127 gaps (e.g., differences between the Federal Information Security Management Act of 2002 and CMS’ core security requirements) at 11 Medicare contractors for FY 2011, which was a decrease of 23 percent from FY 2010. OIG determined that PwC’s evaluations of the contractor information security programs were adequate in scope and were sufficient. To obtain a copy of the complete report go to https://oig.hhs.gov/oas/reports/region1/181330100.pdf. CMS has recently released a new MLN Connects video on ICD-10 Coding Basics to ensure that providers are ready to transition to ICD-10 on October 1, 2014. On the video, Sue Bowman from the American Health Information Management Association (AHIMA) provides a basic introduction to ICD-10 coding, and focuses on the similarities and differences between ICD-10 and ICD-9; ICD-10 code structure; and coding processes and examples. To receive notification of upcoming MLN Connects videos and calls and the latest Medicare program information on ICD-10, subscribe to the weekly MLN Connects™ Provider eNews. Also, visit the CMS ICD-10 website for the latest news and resources to help you prepare for the October 1, 2014, deadline. To obtain a great resource written specifically for LTC providers go to AHCA’s website at http://www.ahcapublications.org/searchprods.asp, and order ICD-10 Essentials for Long-Term Care: Your Guide to Preparation and Implementation. The Centers for Medicare and Medicaid Services (CMS) recently announced another partial delay of the “two midnight” rule until after September 30, 2014, due to growing pressure from physicians and hospitals. The policy, included in CMS’ FY 2014 Inpatient Prospective Payment System final rule, which provided doctors and hospitals guidance on conferring inpatient status for stays that cross at least two midnights and thereby allow for coverage under the Medicare Hospital Inpatient Part A benefit. Medicare's recovery auditors were ready to begin enforcing the rule on October 1, 2013. However, due to concerns from the provider community, the enforcement was delayed until March 31, 2014. Last week, CMS announced that recovery auditors would now have to wait until after September 30, 2014, to start auditing claims under the two-midnight rule. CMS will still allow Medicare’s administrative contractors to review short stays and deny payment if not deemed medical necessary. Further information about this partial delay can be found here. The current rate of diagnosis of Alzheimer’s and other dementia related illnesses is very high and it is expected to rise in the years to come. You’ll need to be sure that you are fully prepared to care for your current Alzheimer’s residents, as well as your future ones. This informative resource gives the reader understanding of what it is like for the person who has been diagnosed with this debilitating disease. Author, Richard Taylor, was diagnosed with Alzheimer's disease at age 61, the former psychologist courageously shares an account of his slow transformation and deterioration and the growing division between his world and the world of others. He does this with poignant clarity, candor, occasional humor, and more than 80 brief essays address difficult issues faced by those with Alzheimer's disease. It’s not too late to register for the 2014 Independent Owner Leadership Conference. To give you more time to register for this exciting conference, we have extended the deadline to Friday, February 14th. Give yourself a Valentine's treat and join us at Caesars Palace Las Vegas. Register now and save! When you register by Friday, you’ll save $75 off the standard member rate. This year’s theme is Thriving in a Changing World. Earn up to 10.5 CEUs with education sessions that focus on managing staff and residents, improving quality in your facilities, emergency preparedness, and much more. Reserve your hotel room now and take advantage of the special AHCA/NCAL group rate at Caesars Palace Las Vegas. Rooms are filling up fast. Make your reservations now! Call Caesars Palace Las Vegas reservation center at 1-866-227-5944 and refer to Group Reservation Code SCNCL4. You may also reserve online by visiting the personalized Independent Owner Leadership Conference link. The deadline to get this special discounted rate is February 11, 2014. Learn more and register for the IO Leadership Conference today!